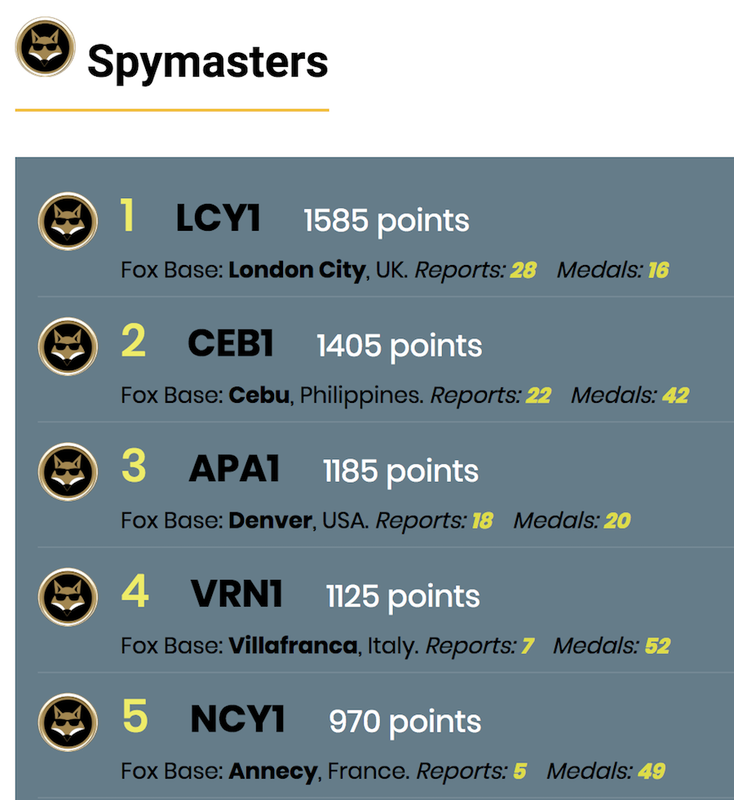 Here’s the game changer: We’re starting to reach a point where you and your fellow members are reporting things to the Team every day, at a level that means we’re really covering most of the important operational news out there. Now, we are working on better ways for you to find it … read on. 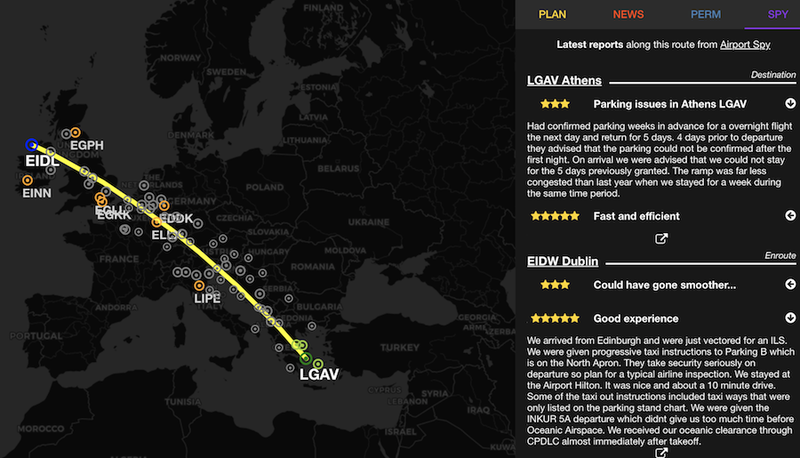 As the crow flies – pop in your departure and destination, and get all the information that we have for your route – Planning data – distances, times, fuel, Ops News and Alerts, Permit requirements, Airport Spy reports. 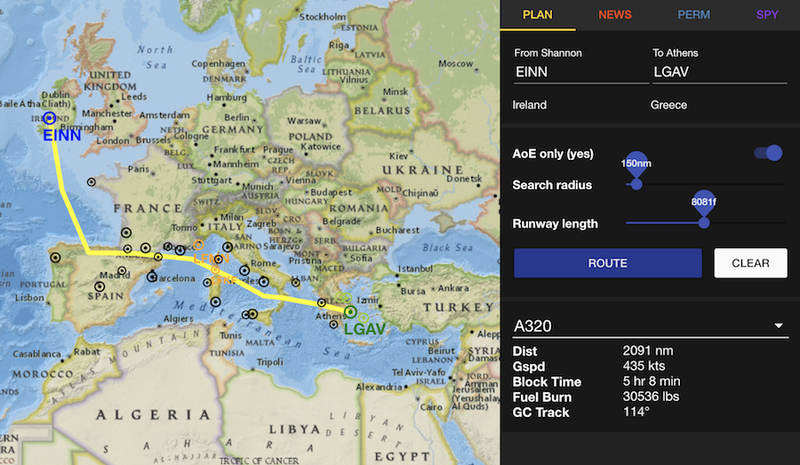 New underlay options, show different maps under your route (more coming). 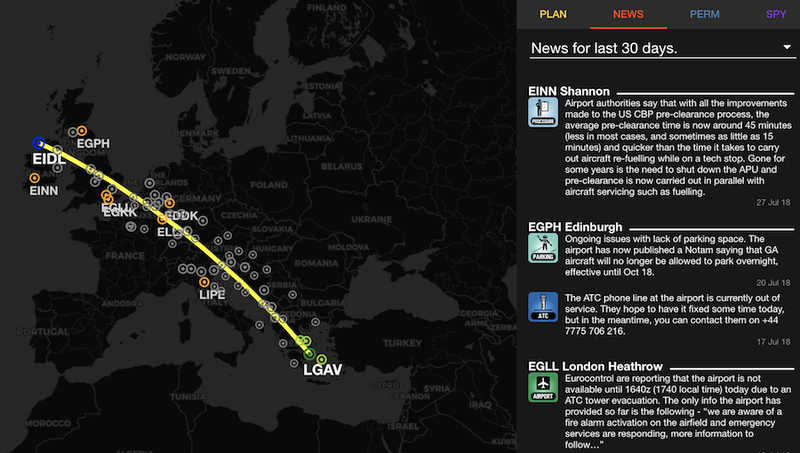 Airport Spy reports are automatically pulled for your route. 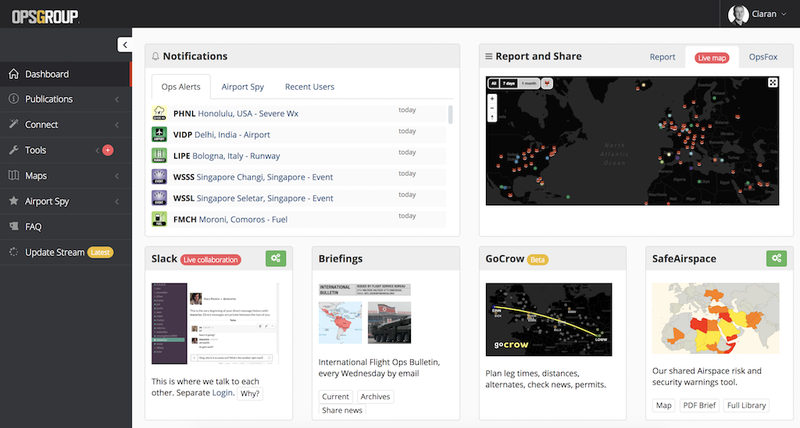 Customized news report for your route. Get country by country permit information. 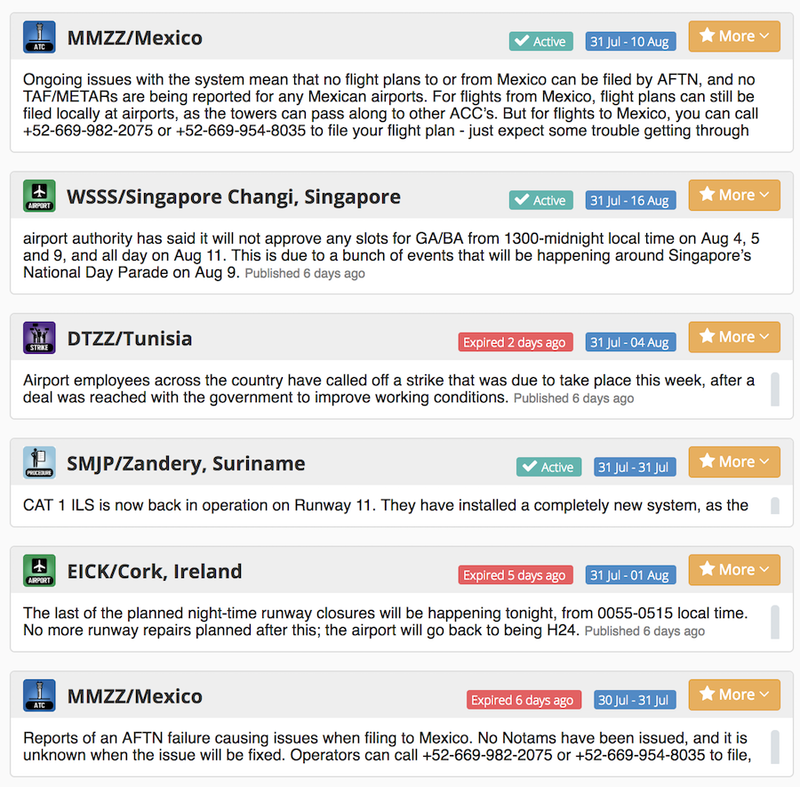 A notifications tab for Ops Alerts and new Airport Spy reports. 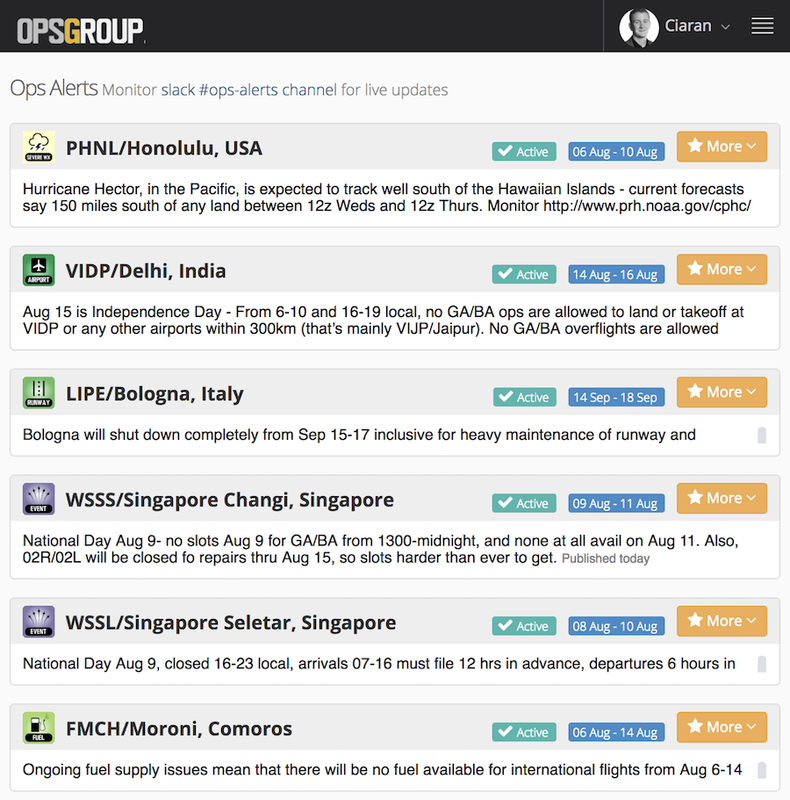 All ops-alerts issued by FSB for the group now have their own home at https://ops.group/ops-alerts. 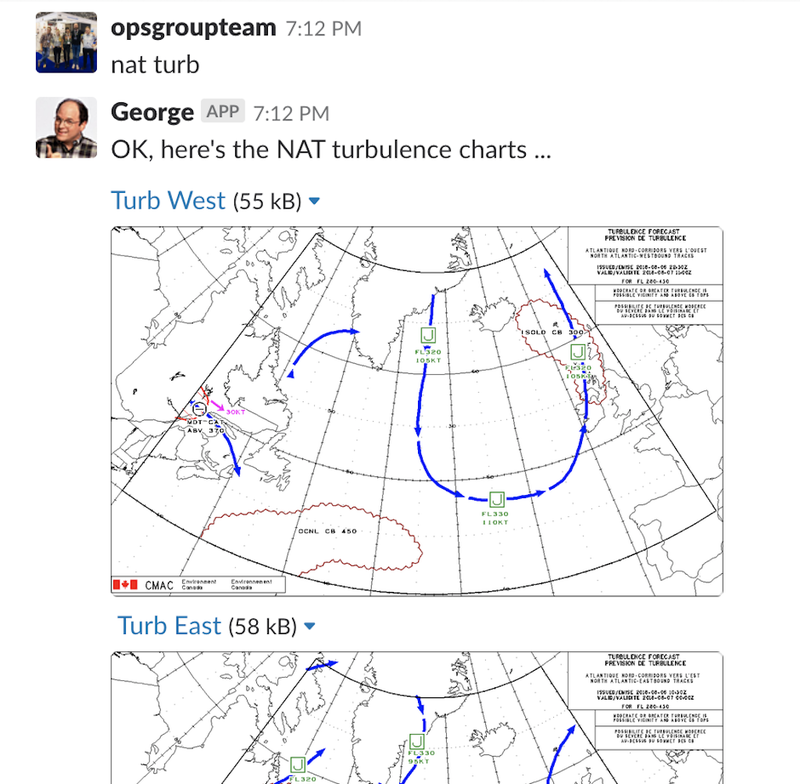 You can also find them in slack in the #ops-alerts channel, which will push notifications to your phone. You know George from before, but we sent him for remedial training in North Korea and now he’s back, smarter, sharper, and better. George is a bot. 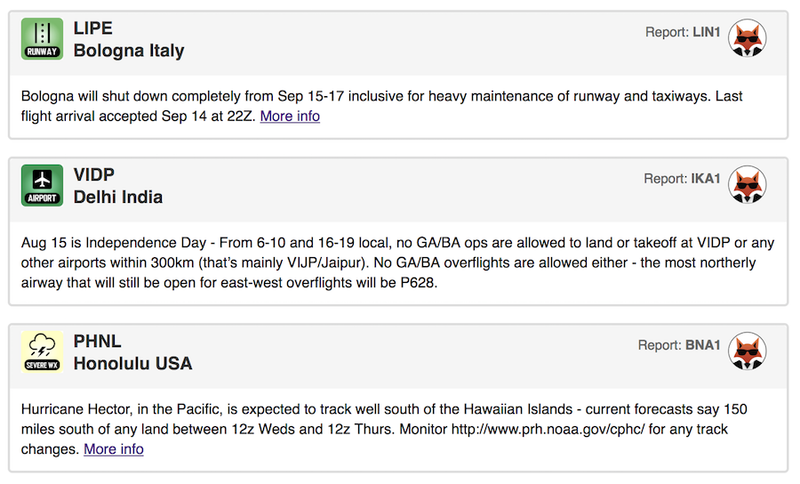 We can’t call him AI, because he’s not that intelligent, but he understands a whole load of new commands: permits, weather, ICAO codes, airport names, countries, keyword searches. 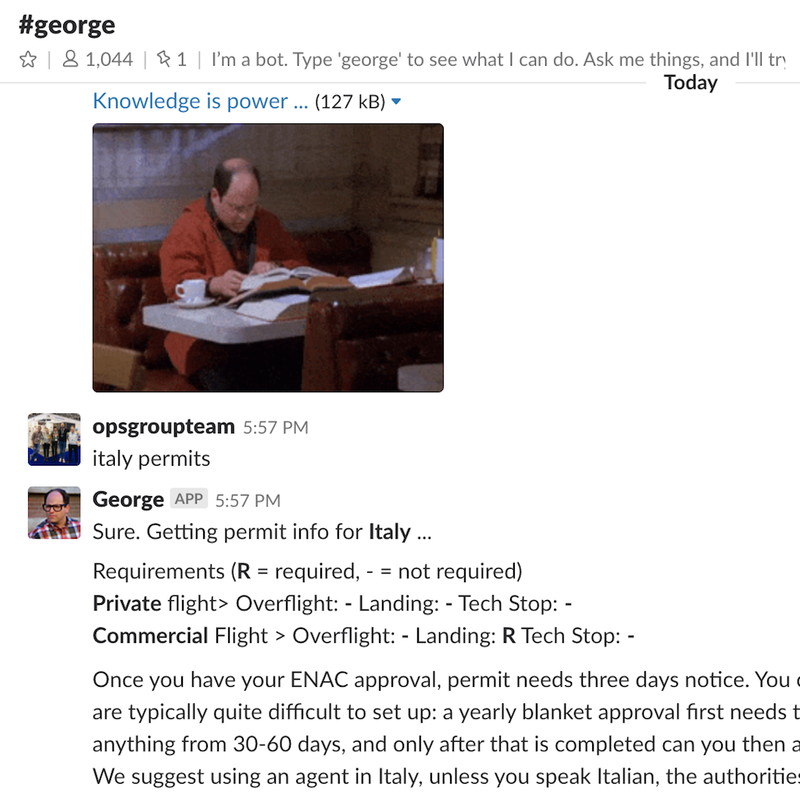 Go to the #george channel in slack to test him out. 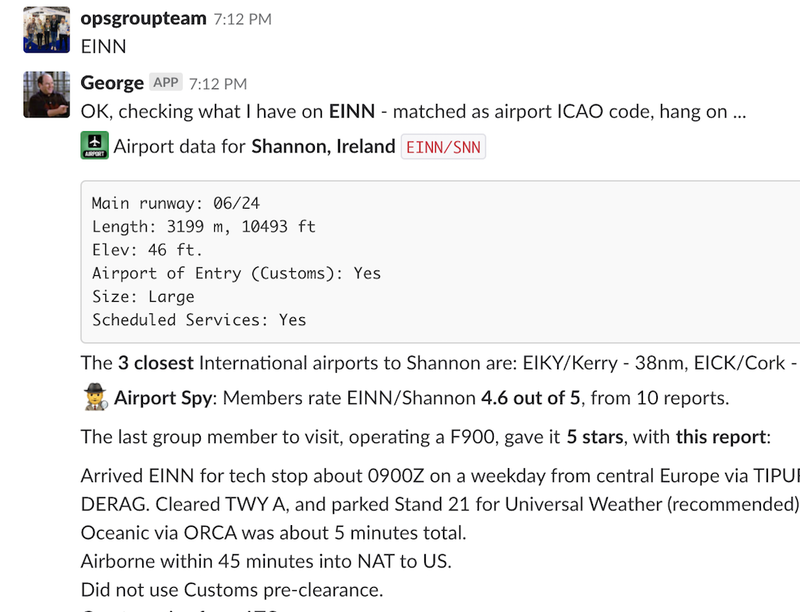 OpsGroup has set up a trusted network of spies: Pilots, Air Traffic Controllers, Dispatchers, and Ops Specialists – that can report directly into our system, adding categorized reports, based on what they see and know at their home base, or visited airport. 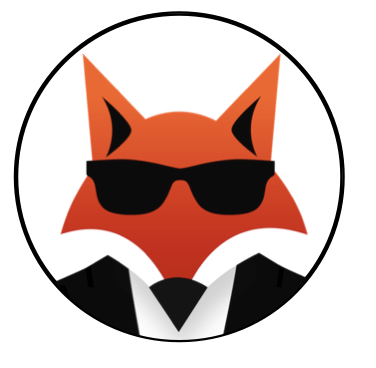 We call this network OpsFox. We love that you all love the Daily Brief! It’s been the most popular feature of the year – and we are happy to bring you daily updates every morning. 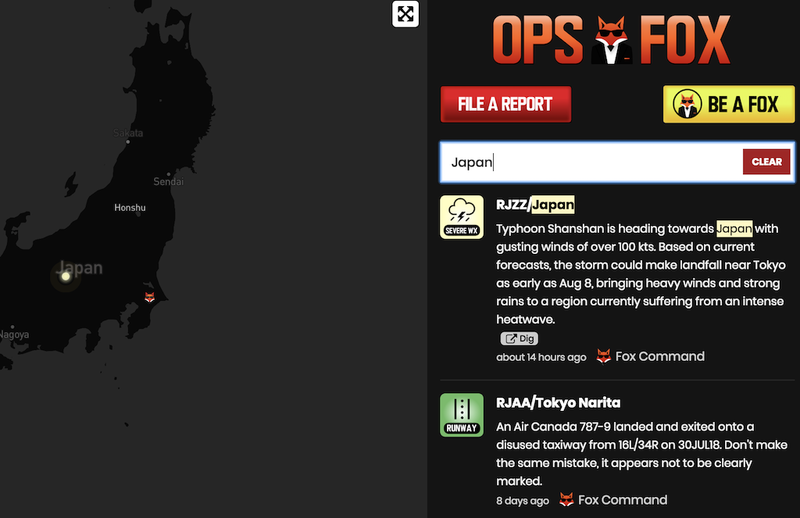 See those little fox badges? When we get a report from a Fox, we’ll mark it like that on the Daily Brief. If you’re a ground handler, and want to have your name listed as a reporter, then tell us and we’ll credit you for any reports you file – so that our members can contact you directly for more. Also, as a fox, you earn points. Here’s the current Top 5! We hope you have a wonderful week! As always, keep us posted on anything the group should know about. Oh – and if you REALLY liked something we added, hit reply and let us know! We’d love to hear.